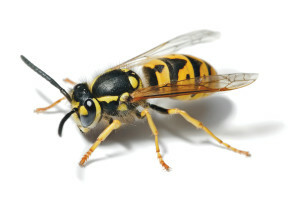 The presence of bee pest control in Toronto ON and wasps in any home or business premises should be a serious concern and they should always be exterminated at the earliest opportunity possible. These tiny insects not only sting, They have the ability to infest a structure and bring it down especially carpenter bees. In order to prevent this from happening, you need an experienced bee exterminator to get rid of them and make sure that they never come back. Our Pest Control Toronto Crew is well equipped with versatile methods which will help you get rid of these insects in a very short period of time. It is always common for homeowners to try the process of bee removal by themselves only for the bees to return after a few days. This can be a very frustrating experience given the magnitude that their presence pose to the people living in that home. Due to this, it is advisable to get the services of professionals in getting rid of bees and wasps amongst other insects that might have infested your premises. We have the ability to remove the insects irrespective of their position within the house, whether interior or exterior. Pest Control Toronto Crew offers bee pest control, removal extermination services in Toronto ON and surrounding areas. For over twenty-one years, we have helped to keep these insects away from several homes and saved several structures from getting destroyed. Besides, we have a professional team of experts in insect control who will take all the necessary measures to ensure that the insects are removed in a friendly and professional manner without causing any aggression to them. Your home is one of your greatest investments and you should protect it from the dangers that bees and other insects can cause to it. The Pest Control Toronto Crew are here to help you achieve that. We proudly service Ajax, Brampton, Burlington, Etobicoke, Maple, Markham, Milton, Mississauga, North York, Oakville, Oshawa, Pickering, Richmond Hill, Scarborough, Whitby, Woodbridge and Thornhill. Bee Pest Control in Toronto ON call (647) 557-7978.